Body Percussion – music class with no instruments are needed as we develop core music skills and coordination through body movements. 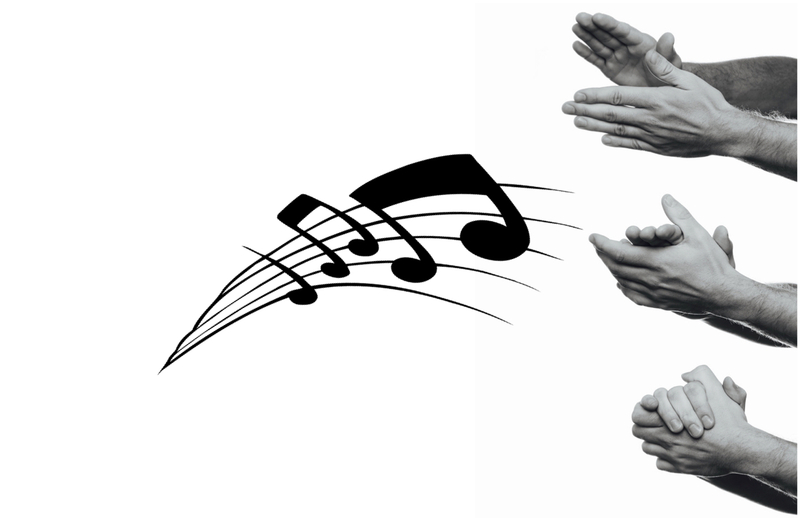 Compose and arrange your own body percussion song. Utilise apps to record and layer sounds, arrange rhythm cards to compose and develop structure. Students have fun experimenting with timbre while developing the kinesthetic intelligence that makes playing an instrument easier. Utilise dynamics, tempo, and texture to create a unique percussive structure. This music lesson provides an ideal platform to experiment with, create and combine sounds using the inter-related dimensions of music. Gain a new understanding of musical notation and develop sight reading using our unique body percussion notation key. Perform in an ensemble context with accuracy and expression.